Through four unique film funds, we support media that breaks the important stories of our time, exposes injustice and brings attention to unreported issues. These funds enable the creation of long and short form documentary content, support film festivals and empower the creative documentary sector in Africa, Asia, Latin America, the Middle East and parts of Eastern Europe. Bertha also supports the development and execution of smart, strategic outreach campaigns for independent documentary films with social issues at their core. 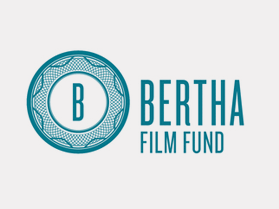 The Bertha Film Fund offers grants for the creation of social impact documentary content – both short and long form. 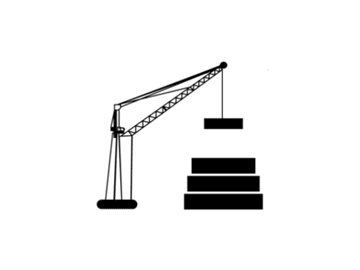 The fund offers grants at various stages including development, production and completion. Applications are reviewed on a quarterly basis, and by invitation only. The IDFA Bertha Fund, formerly known as the Jan Vrijman Fund, supports documentary filmmakers and festivals in developing countries. Its goal is to stimulate local film cultures and to turn creative documentary into a truly global film art. 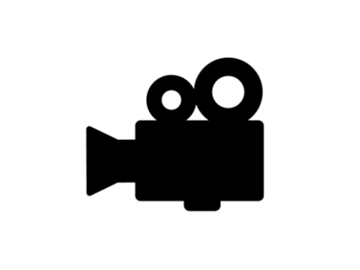 The Bertha / Doc Society Journalism Fund is an international film fund dedicated to supporting long form feature documentaries of a journalistic nature. Starting in 2017, the Journalism Fund seeks to provide more consistent, deeper support for filmmakers, often funding from development through to outreach and providing security support and legal advice where needed. 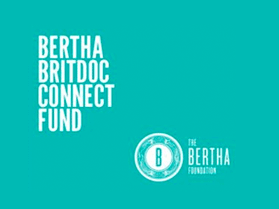 The Bertha BRITDOC Connect Fund is the first European-based outreach and engagement fund and supports smart, strategic outreach campaigns for ambitious independent documentary films with a social issue at their core, films which have the ability to achieve real change on a local, regional or global level. The Guardian and Bertha are commissioning a series of 12 short documentary films from independent filmmakers to tell international stories with global impact. 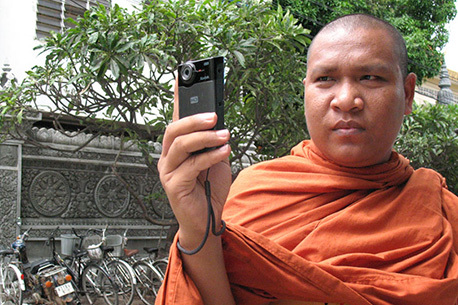 WITNESS makes it possible for anyone, anywhere to use video and technology to protect and defend human rights. By providing training, support and tools to millions of people around the world, WITNESS is powering up a new generation of human rights defenders. At the same time, WITNESS works with technology companies to make their products and platforms safer for human rights uses. 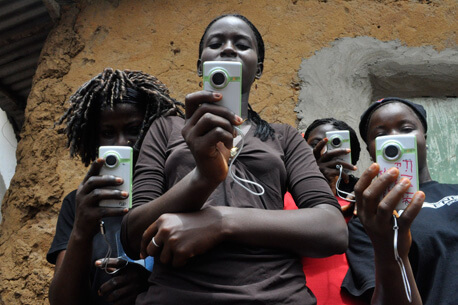 WITNESS has supported various Bertha grantees to use video and technology in order to scale up their impact and defend their rights. This includes: the FiSahara Film Festival in the occupied Western Sahara; the 'Political Training for Political Educators Course in English' at Escola Nacional Florestran Fernandes in Brazil and Outreach Workshops for IDFA Bertha film teams in the Netherlands. WITNESS is also a member of the Video4Change network, along with fellow Bertha-supported organizations EngageMedia and STEPS. WeOwnTV's mission is to create artistically bold media that explores the critical issues of our time and reinforces a culture of creativity and engagement. WeOwnTV started its work in Sierra Leone in 2009 and since then has grown to support civic awareness and engagement, media analysis and digital production skills that facilitate workforce development for citizens in the country. Their philosophy that no one is more qualified to help Sierra Leoneans than Sierra Leoneans themselves took on new resonance as WeOwnTV worked in the context of the Ebola crisis. WeOwnTV turned their full attention to the unfolding crisis in the form of a public health media campaign to not only spread awareness about prevention and treatment, but also to stop the dangerous dissemination of misinformation. The outbreak revealed just how important a robust indigenous media sector is when confronted with an unthinkable situation. In early 2016, with Bertha support, they launched the WeOwnTV Story Challenge, a regional film fund and fellowship supporting the production of independent documentaries directed by Guinean, Sierra Leonean and Liberian filmmakers. To amplify the impact and exposure of under-told stories, Bertha funds diverse journalism initiatives working to uncover, document and report on stories across the globe. 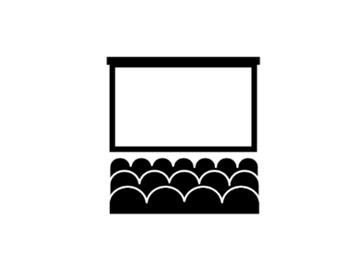 Bertha simultaneously supports both traditional and nontraditional distribution initiatives ranging from film festivals to cinemas to TV channels. Coupled with the support of organizations, Bertha is enabling content to be seen across platforms around the world that can be used to affect change on a local and global level.